Gear up for the Sport Chek Canada Friends and Family Event. Shop online today to save an extra 10% off Sale Items and 25% off Regular Price by using the code FF19SPRING at checkout and get free shipping. Exclusions apply. Ends Monday, March 25, 2019. 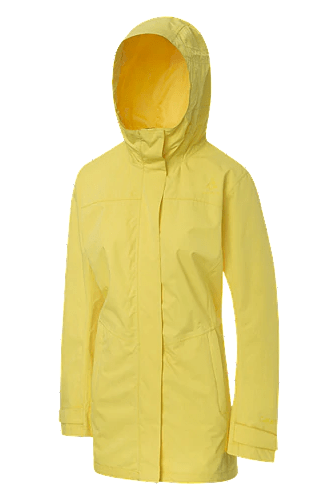 This Woods Women’s Monashee 2L Mid-Length Shell Jacket is on sale for $89.98 (originally $150), but when you use the code FF19SPRING to save an extra 10% off, you get it for only $80.98! You save $69.02 off the original price. Don’t let bad weather get in the way of your outdoor adventures – the Women’s Monashee 2-Layer Mid-Length jacket offers extensive protection to keep you dry and comfortable. This fully seam taped mid-length jacket with waterproof CANATITE® ACTIVE technology keeps water out without compromising breathability and air flow.